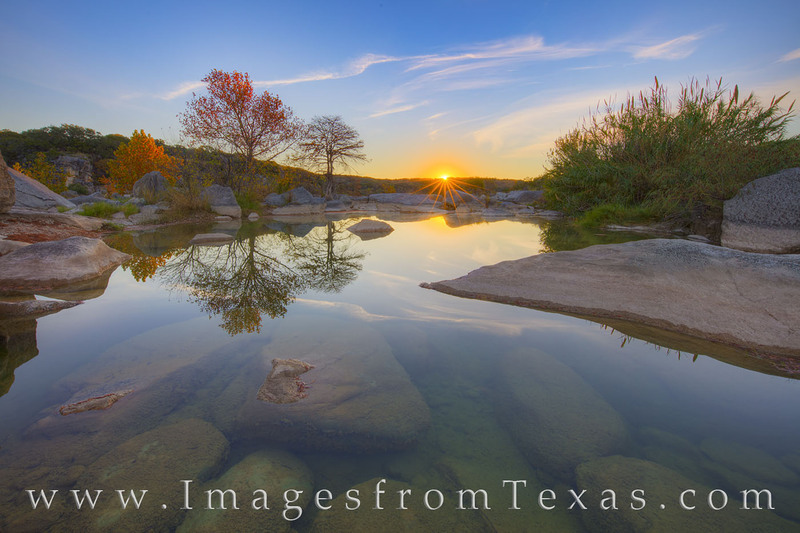 Sunlight glances off the tops of trees along the Pedernales River on a just-above-freezing November morning. The reflections of leaves dressed in red and gold shimmer in the clear, clean water, and the sun peeks over the distant ridge. Mornings like this keep me coming back here - one of my favorite locations in the Texas Hill Country. Photo © copyright by Rob Greebon.